Learn to use Google and Google Scholar more effectively for research with these tips. Google tools work differently than Library databases. Many people don't realize that you can limit your Google results by date. On your search results page, click on Tools, then you'll see a menu with choices for different time frames. Google's default sort is usually relevance, but you can change it to date in order to see most recent results first. The sort menu shows up after you've limited by time period. A useful operator to use is called "related." This will find sites that are similar to the site you search for. It doesn't work for every search, but when it does it can be useful. 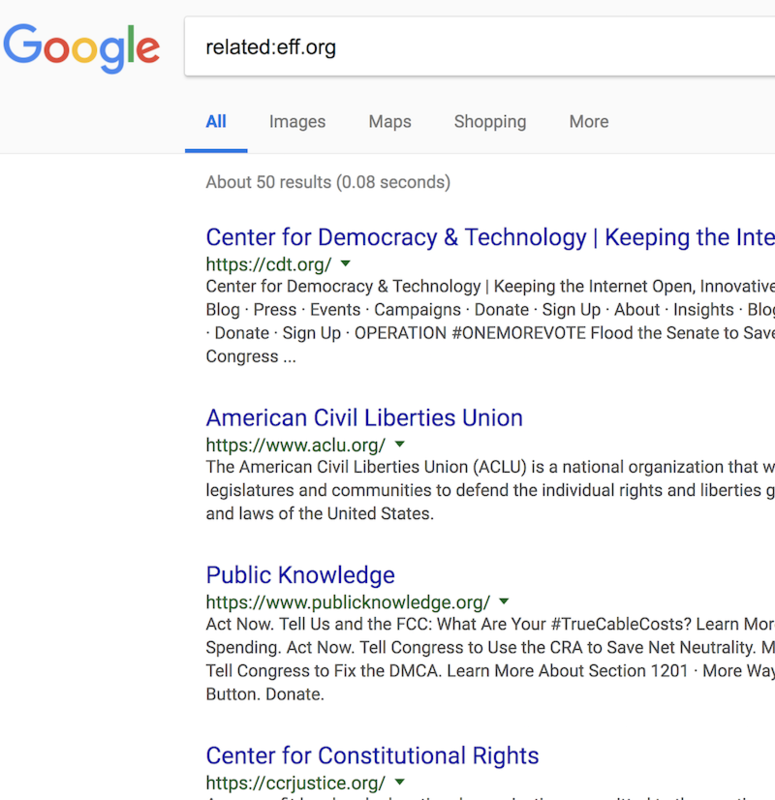 For example, suppose you are looking for non-profit organizations that are similar to The Electronic Frontier Foundation (eff.org). (Be sure there is NOT a space after the colon). You'll find other similar non-profits with this search. For more ways to refine your search with useful operators, see Google's help page, Refine web searches.